FAIRFIELD, CALIF., Mar. 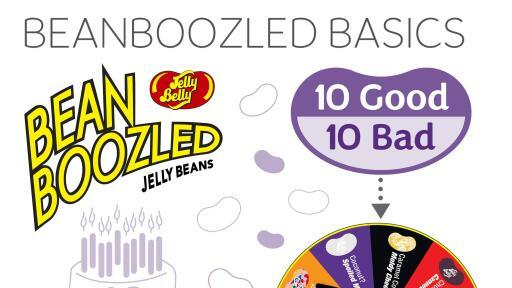 22, 2018 —In honor of National Jelly Bean Day on April 22, Jelly Belly Candy Company spotlights some of its most fascinating pieces of trivia from the last four decades. Guests at the Jelly Belly Visitor Centers in Calif. and Wis. learn fun facts like these during their tours. Now, Jelly Belly fans don’t need to visit in order to enjoy the trivia and learn something new about Jelly Belly jelly beans®. 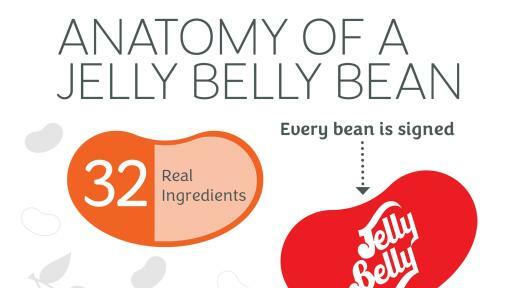 Jelly Belly pulls aside the curtain to unveil facts and figures any candy lover will enjoy with a new trivia video and infographics. It takes between 7 to 14 days to make a Jelly Belly jelly bean. 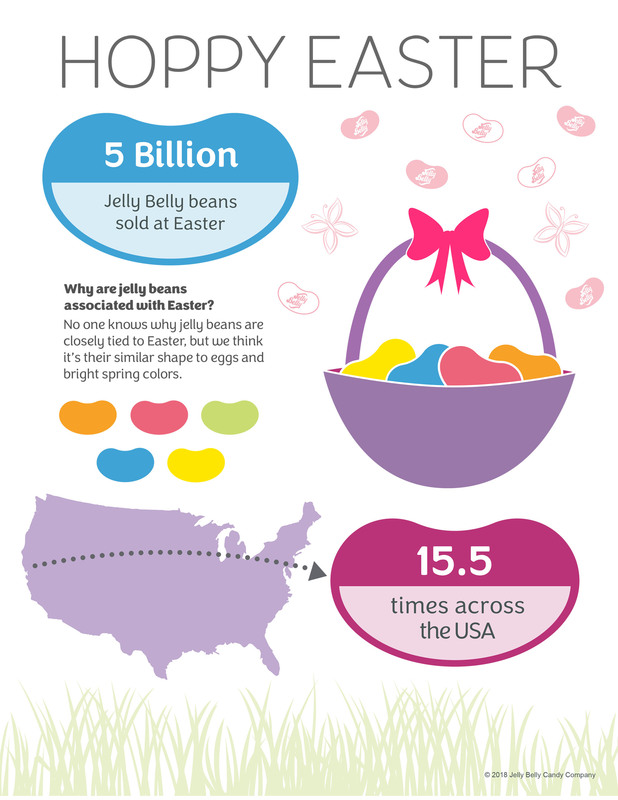 There were 15 billion Jelly Belly jelly beans eaten last year. 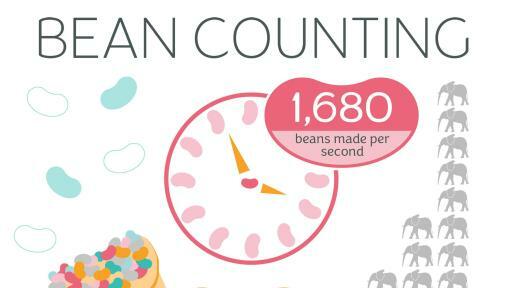 Jelly Belly can make 1,680 Jelly Belly beans per second. 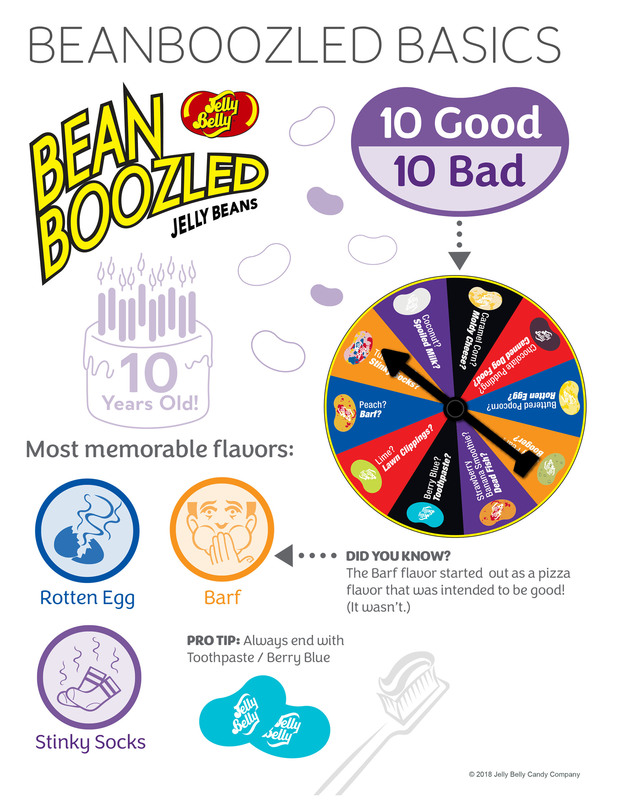 Jelly Belly Candy Company offers 100+ jelly bean flavors. 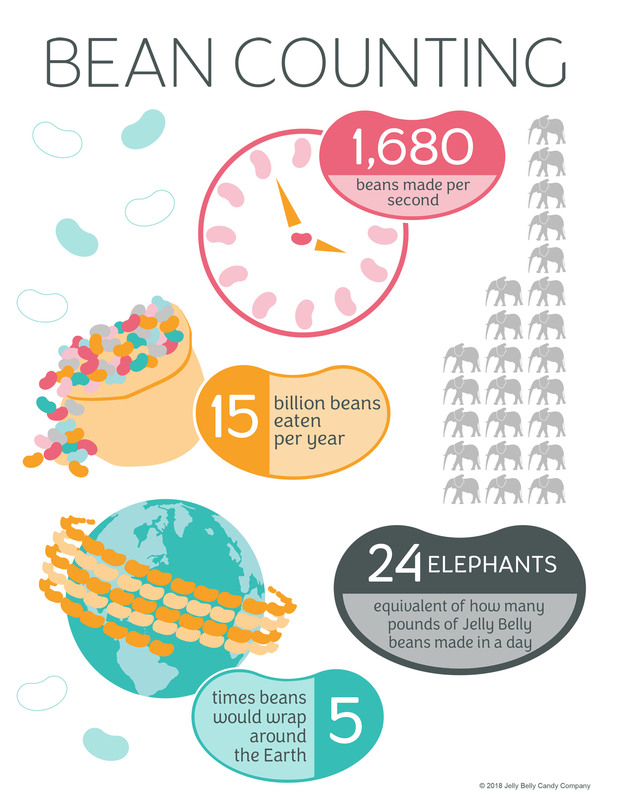 If you laid all those Jelly Belly beans eaten last year end to end, they would circle the earth more than five times. Jelly Belly’s most well-known fan was President Ronald Reagan, who started eating the company’s original jelly beans in the 1960s. Jelly Belly beans were the first jelly beans in space, sent on the 1983 Challenger mission by President Reagan as a surprise for the astronauts. 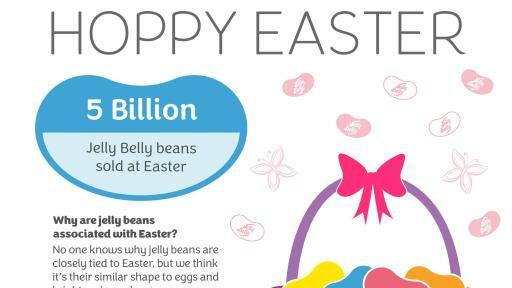 There are 5 billion Jelly Belly beans eaten at Easter. 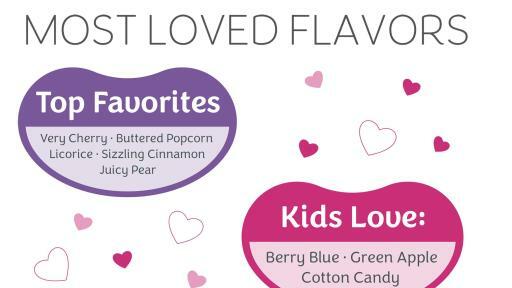 The top three Jelly Belly jelly bean flavors in America are Very Cherry, Buttered Popcorn and Licorice. Number of calories in one Jelly Belly jelly bean. You will find Jelly Belly jelly beans in more than 80 countries. Jelly Belly Candy Company was founded in 1898, and began making Jelly Belly® jelly beans in 1976. 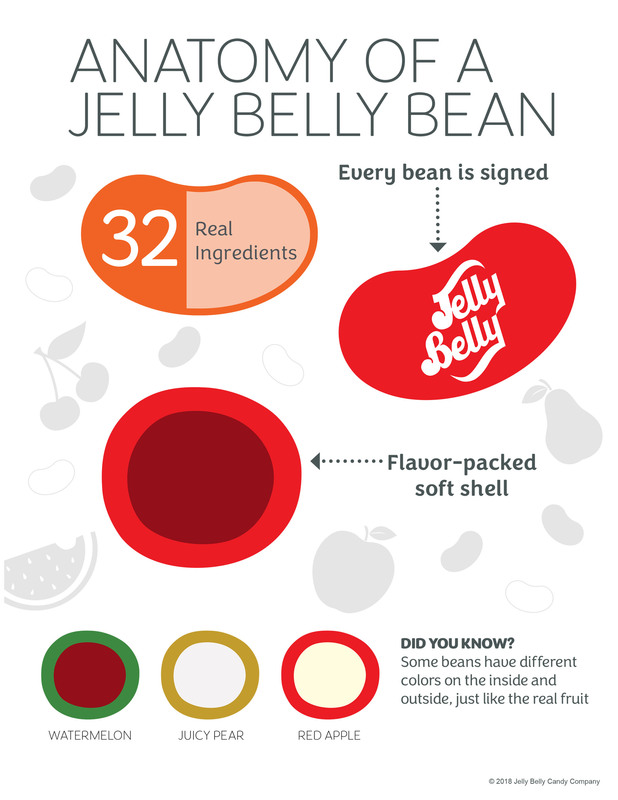 Today, Jelly Belly products are sold all over the world and the company remains family owned and operated by the fourth, fifth and sixth generations of the candy-making family. 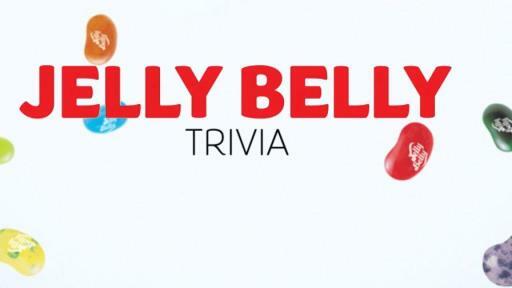 For more information about Jelly Belly and its confections, visit www.jellybelly.com, or call 800-522-3267. Connect with the company online on Facebook, Instagram, Pinterest, YouTube and LinkedIn.